What segregates food brands and large QSR from the rest. It's food box. Aesthetics, design, and quality of your side open paper food box will make for, a higher brand recall and great brand image. Order from our 100% customizable side open paper food boxes and style it with your persona from your brand logos to quirky one-liners, bold colors, abstract designs etc. Make them your brand rep. We have got it all. 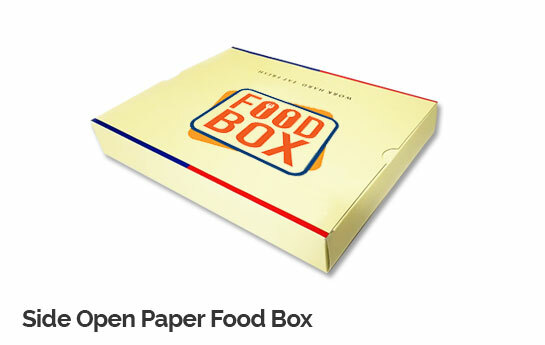 Buy from our wide range of side open paper food boxes now!